Rising wages in China, soaring transport costs, and concerns over quality, intellectual property and delivery times are combining to cause manufacturers in the US and UK to consider bringing their outsourced manufacturing home (‘onsourcing their operations’). In the US, computer giants Apple and Lenovo are already ‘insourcing’ production activities previously carried out in Asia. In the UK, a new report by Lloyds Banking Group for the Royal Society for the encouragement of Arts, Manufactures and Commerce (RSA) found that ‘more will be made at home’ and that jobs previously outsourced overseas are likely to come back to the UK. And it’s happening in New Zealand too. Read more here. If on-sourcing continues to increase, employers need to be ready to respond to the challenges. These challenges include raising the profile of manufacturing and the opportunities available in manufacturing sectors for long-term, interesting careers to attract talented school leavers. Building skills across the sector will be important too, in technical disciplines and supporting activities like competitive (lean) manufacturing and business management. 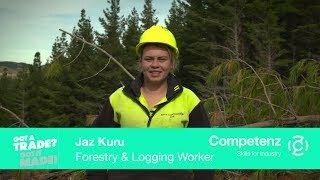 Our Competenz team is working with our manufacturing industry partners to understand how on-sourcing will affect New Zealand, and help build long-term manufacturing skills and careers.